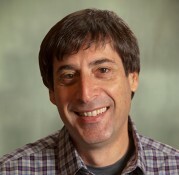 This entry was posted on August 31, 2018 by Robert Greenberg. The following article was originally featured in the monthly magazine for Originate Report. It speaks to the growing interest in automation and artificial intelligence in the lending industry. Written by Patch's CMO, Robert Greenberg. When mortgage professionals gather for an industry conference it’s usually not long before someone jokes (or moans) about how slow the industry moves when it comes to adopting new technology. Technology, however, is now more than just a topic of conversation. It’s a must-have for mortgage originators, and the industry can thank fintech firms for challenging the status quo and speeding up adoption. The National Bureau of Economic Research (NBER) has tracked the transformation toward technology-based lending. The market share of U.S. mortgage lending held by technology-based lenders grew from 2% in 2010 to 8% in 2016. During the same time period, online mortgage lenders saw total loan originations rise to $161 billion, up from $34 billion — an annual growth rate of 30 percent. NBER’s research shows that on average fintech lenders process mortgage applications about 20 percent faster than their traditional counterparts. While change can sometimes be hard, technology advances in the mortgage sector have been good for both consumers and originators, and the technological evolution will continue to benefit both borrowers and lenders in the years ahead. In a year where the overall mortgage volume is expected to be down compared to last year, the interest in automation and artificial intelligence is growing as companies seek to add efficiencies to improve their competitive position. The Mortgage Bankers Association expects 2018 originations will reach $1.16 trillion, according to its July updated mortgage finance forecast, down from 2017’s $1.71 trillion. Purchase originations (one- to four-family units) are expected to rise by nearly 4 percent to $1.15 trillion, but that won’t be enough to offset a forecasted 23 percent decline in refinances to $460 billion. Refinances currently make up 29 percent of the mortgage market, down from 35 percent in 2017, due to a rising-interest-rate environment. The declining mortgage volume and the challenges it represents comes as the nation enters a maturing e-commerce market — one in which consumers have come to expect the immediacy they find in the online retail sector to transfer to the mortgage industry. Originators have responded to this demand with an improved application experience that includes mobile apps, online applications and e-verification options that reduce the time commitment and paperwork gathering of the past. While online fintech companies should get significant credit for pushing technology forward for the entire origination industry, mortgage giant Fannie Mae also advanced technology adoption among lenders with the rollout of its Day 1 Certainty initiative in October 2016. The initiative frees originators from paper-based processes with automated validation of income, assets and employment. The benefits of Day 1 Certainty have been multifold for originators who have adopted it: A faster paperless process, increased accuracy, a better borrower experience, faster closings, the ability to close more loans, and freedom from representations and warranties. Since the initial rollout, Fannie Mae has continued to add technology vendors to their platform. Day 1 is just one example of multiple technology-related initiatives undertaken by the agencies over recent years. Several years ago, Fannie Mae and Freddie Mac adopted the Uniform Collateral Data Portal, where lenders electronically submit appraisal reports for mortgages delivered to the agencies. At the time there was much handwringing about how this technology would affect lenders, but today it has become standard procedure. Ultimately, technology as a whole should be helping originators grow their businesses while improving efficiencies and containing costs. A McKinsey report refers to automation in the banking sector as a “transformative power” for the industry. While McKinsey speaks specifically about banking, the sentiment is certainly transferable to mortgage originators of all types, including alternative lenders and fintechs. McKinsey expects a second wave of automation and artificial intelligence to emerge in the next few years, estimating that machines will do 10 to 25 percent of the work across bank functions. This, in turn, will free up employees “to focus on higher-value tasks and projects,” the report says. Capturing this opportunity requires a shift from a tactical to a strategic approach. “In some cases, they will need to design new processes that are optimized for automated/AI work rather than for people, and couple specialized domain expertise from vendors with in-house capabilities to automate and bolt in a new way of working,” the report said. When it comes to artificial intelligence, gathering data and automating the origination process may be the first step, but leveraging the data insights to benefit lenders and borrowers is paramount. Originators will need to figure out how to use the data in a way that drives value. There are many complexities to be considered including how the data is collected, how it is used and, very importantly, how to remain secure and compliant with mortgage regulations. Some old-school origination shops may need to start with the process by further digitizing their workflow before they can capture significant consumer data for analysis and use. This is no easy task. Data that is captured isn’t going to be useful unless someone can analyze it and figure out how it can be seamlessly used to add value by improving efficiency, cutting costs, reducing risks and so on. There aren’t easy answers to the many questions that arise when the conversation turns to technology in origination, and specifically to automation and AI. How much should be automated? Should we rely on proprietary in-house technology, outsourced solutions, or a combination of both? Can we add new solutions to our existing LOS? How will AI take what it has learned and improve future performance? How will blockchain change today’s business process and improve security? These aren’t questions that can be answered overnight, but they are certainly questions that originators need to be talking about and acting upon with a level of urgency. Whether the conversations begin at an industry event or around a company’s conference room table, it is time to move from talk to action as end users increase their demand for speed and efficiency in the origination process. This entry was posted in All Projects, Building Wealth, Growing Communities and tagged money loans online, lending companies, online mortgage lenders, mortgage lending, real estate investment on August 31, 2018 by Robert Greenberg.